Industrial Star Southern Highlands - The Master Bedroom has 2 walking in closets. Make this your new home! MLS#2071625. Century 21 Gavish Real Estate. Bella Terra At Southern Highlands - Excellent Location For This Freshly Renovated 2 Story Home In The South Valley , Just Off I-15 & Cactus, Features New Paint,New Granite Counter Tops , Stainless Steel Appliances ,New Sink & Disposal,Full Length Covered Patio With A Food Preparing Counter In The Back Yard, Nice Corner Lot With Lots Of Privacy, All These Make It A Very Desirable Property !! ! MLS#2073115. 1st Priority Realty, LLC. This home truly has it all, 5 bedrooms, loft, office retreat off master, dual master walk in's, custom kitchen designed for entertaining equipped with a massive island, tile back splash, new appliances, new tile flooring throughout, new baseboards, crown moulding, shutters, private backyard oasis with built in BBQ, huge pool/spa, and covered patio! MLS#2072870. Vegas One Realty. Backyard is low maintenance with beautiful desert landscape and synthetic turf! MLS#2072766. Realty 360. Foothills At Southern Highland - , Gated Front Courtyard Entry leading to Glass Front Door with Sidelight. SID Paid In Full. MLS#2072817. Easy Street Realty Las Vegas. Siena Ancora Southern Highglands - Master closet is 16x9' and most ceilings are 9' or taller MLS#2071471. BHHS Nevada Properties. 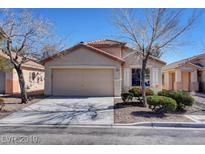 Via Dana At Southern Highlands - A must-see, clean and move-in ready home in the Southern Highlands community! MLS#2072765. BHHS Nevada Properties. Bella Terra At Southern Highlands - Enclosed backyard with patio and plenty of room for outdoor entertaining. MLS#2072711. Love Local Real Estate. Tuscan Cliffs At Southern Highlands - Featured On A Popular Renovation Series As An “inspiration Home”. MLS#2067988. Pivot Modern, LLC. Laurentia At Southern Highland - In the heart of Southern Highlands close to shopping, dining etc. Must see this amazing home! MLS#2071090. LVsweetHomes Realty. Highlands Ranch - Flexible floorplan allows for traditional 2 or 3 story home lifestyle (3 bed,2.5 bath,loft) with massive 3rd floor loft(25x20) + 2 bedrooms(3rd floor) that can be used as a separate living area. Backyard oasis. Home warranty included MLS#2072017. BHHS Nevada Properties. Southern Highlands - Offer is good till May 01, 2019 MLS#2071786. Keller Williams Realty SW.
Siena Ancora Southern Highglands - Ceiling fans throughout and solar screens on windows. MLS#2071797. The PMG Realty Company LLC. La Strada - In the back yard, you’ll find a covered patio, sparkling pool, and plenty of privacy. Call today for a tour! MLS#2070512. Innovative Real Estate Strateg. Toscana Vinyards At Souther Highlands - Upstairs loft and all three bedrooms have a walk in closets with built in shelves. Double sinks in master bath! MLS#2070466. Evolve Realty. Foothills At Southern Highland - From the open floor plan to the sparkling pool and spa, you will be amazed at every turn. MLS#2069795. Heidel Realty. Highlands Ranch - Easy access to Mtns Edge amenities. MLS#2069765. Realty ONE Group, Inc.
Bella Terra At Southern Highlands - Huge walk in pantry, large kitchen. Shopping, restaurants, & fire station nearby. MLS#2070090. Platinum R.E. Professionals. 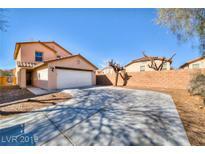 Cactus Hills South - Totally Unobstructed Mountain View, No Homes To The Side Or Behind, Corner Lot, Granite Counter Tops, Stainless Appliances, Upgraded Cabinets, Tile Floors, Fresh Paint, New Carpet. This Is Must See! ! MLS#2070202. Windermere Excellence. Heathers At Southern Highlands - Skylight in the Master Bath creates natural lighting, organizer in walk in closet, Built in BBQ and epoxy garage floors. MLS#2069331. BHHS Nevada Properties. Royal Highlands At Southern Highlands - WOW*Guard Gated Gorgeous 5266 Sqft Home*6 Bedrooms+HUGE Basement*Large Inground Sparkling Pool and Spa*Large Balcony/Covered Patio*Professional Landscaping*Wood Floors*Shutters*Custom Kitchen*Granite Slab Counters*Builtin WetBar*Surround Sound Speakers*Builtin Fridge*Huge Bedrooms*Dbl Sinks*Stone-Like Tile*3 Fireplaces*Jetted Tub and Wall Jets in Shower*Mountain Views*Stucco Backyard Walls*Buyer To Verify All Info* MLS#2069394. LIFE Realty. Montagne Marron At Southern Highlands - Clean Laminate Floors and New Carpet throughout the home. Deep Cleaned and Move-In-Ready. MLS#2069199. TR Realty. Royal Highlands At Southern Highlands - Large porch on front of house. A MUST SEE!! ! MLS#2065948. Simply Vegas.